License administrators can monitor the OpenLM EasyAdmin web interface, and manually return a license back to the license pool. OpenLM may automatically detect the idle FlexLM licenses, release them back into the licensing pool and suspend the application’s process. This method is referred to as “Suspend and Resume” and it is described further in this document. OpenLM can automatically save and close idle MATLAB, Autodesk, ArcGIS and SolidWorks sessions. It performs this with the use of dedicated extensions, specifically implemented by OpenLM for each of these applications. This method is referred to as “Save and Close”. 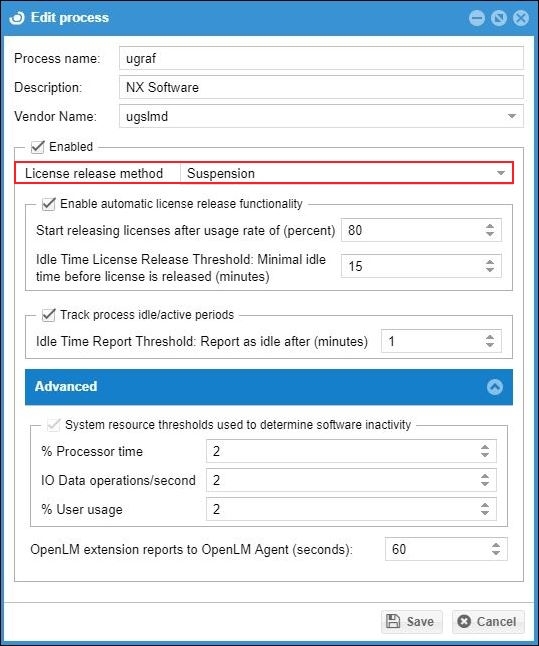 OpenLM has added a new method for further enhancing idle license identification and retrieval. This is referred to as retrieval through “Agent procedures”. The basic idle process management method is “Suspend and Resume”. This method detects an idle process, identifies its respective license, releases the license into the common license pool, and “freezes” the application until the license is reclaimed. This method is a global one, intended for all sorts of FlexLM licensed applications. 1. 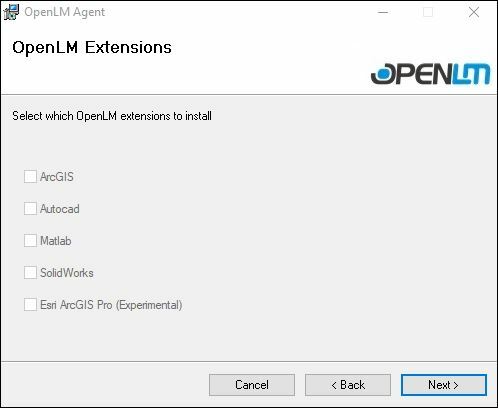 If the OpenLM Agent is not yet installed, download it on your workstation from the OpenLM Download. 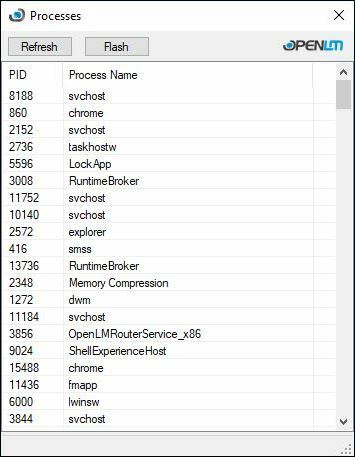 This can be done either manually, or deployed quietly via msiexec or GPO. 2. If an Extension Supported application (i.e. ArcGIS, Autocad, Matlab, SolidWorks) has been identified as installed on the computer, the OpenLM Extensions window will open with its selected checkbox. You can uncheck a software extension to rule that idle instances of Autocad, Matlab or SolidWorks. 3. At the end of the installation process, the Agent Configuration dialog window opens. Type in the OpenLM server that the Agent is required to connect and click Apply. 4. Similar options are available through the deployment flags when installing the Agent silently. For a process that already exists in the process list: select it and click Edit. b. by clicking Add all vendor’s features. This will include all the vendor’s recorded Features in the list of monitored features. 8. 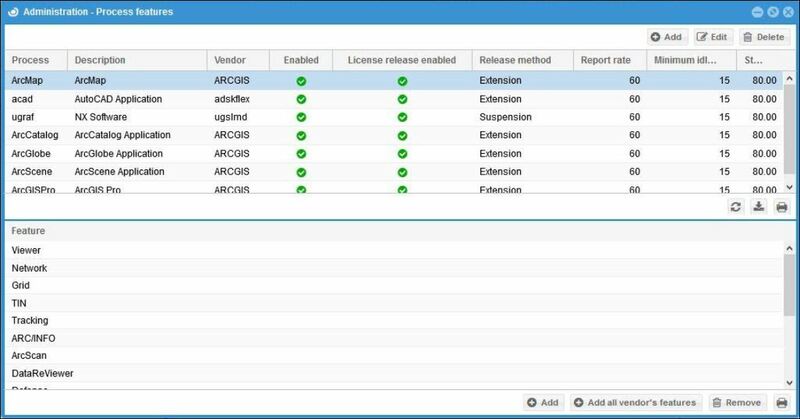 Check the Enabled and the Enable automatic license release functionality checkboxes. idle time license release threshold (Default: 15 min): Idle licenses will be made available for retrieval if they had been idle for more than the defined period. 10. Expand the Advanced panel and set the system resource threshold parameters. These numbers are thresholds used for determining whether the monitored application is idle. The shown default values should not be changed unless explicitly instructed by the OpenLM’s support team. Changing these values inappropriately can harm the OpenLM system’s performance. User usage (Default: 2): the processor utilization for user-mode processes on the workstation. the application activity may be resumed either via the suspension notification or via the OpenLM Agent interface Recently closed documents on the end-user’s workstation. For more information on these Agent notifications and capabilities please refer to this document.